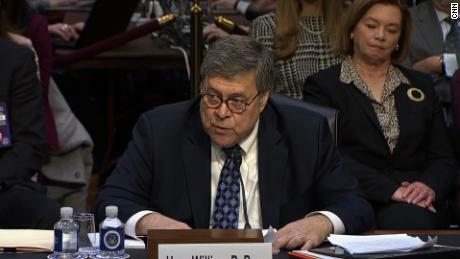 Former U.S. Attorney General William Barr, President Trump's nominee to return to the post, presented two starkly different images at his U.S. Senate confirmation hearing on Jan. 15 in Washington, DC. 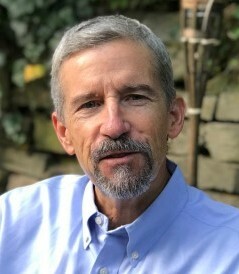 Barr, 68 (shown in a screengrab), stressed through his words and manner the appearance of an independent lawyer dedicated to public service and a "rule of law" according to relatively neutral principles on the conservative side of the political mainstream with his principles honed by his long experience and integrity. These, nationwide cable audiences saw throughout the day, included Barr's respect and friendship for such former U.S. Justice Department colleagues as the current Special Counsel Robert Mueller III and Deputy Attorney General Rod Rosenstein. 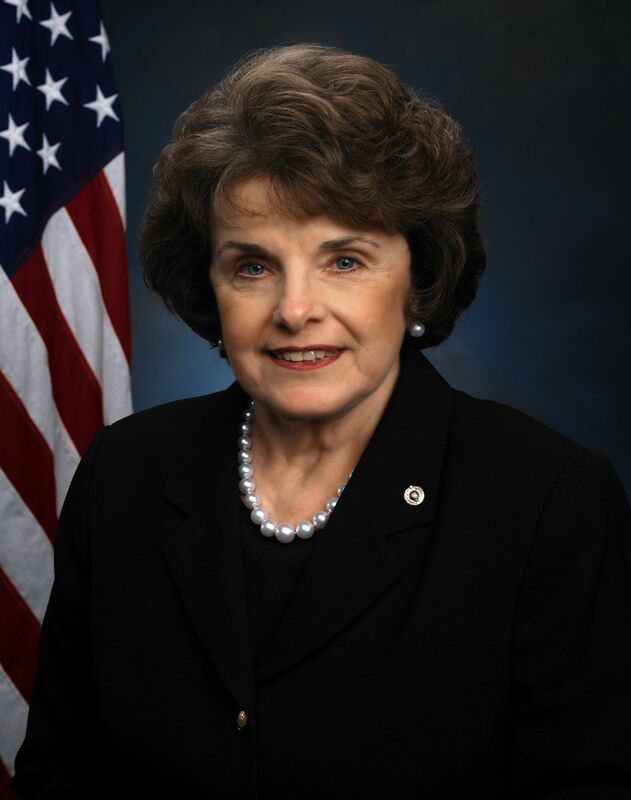 Barr's Republican supporters on the Senate Judiciary Committee eagerly promoted that Barr persona, which is most likely to maximize Barr's votes for confirmation. The supporters include the new chairman of the Republican-controlled committee, Sen. Lindsey Graham of South Carolina, below right. Support for that version of Barr's motives arose primarily from questions and comments by committee Democrats. Such questions came from those who cited Barr's previous written and verbal statements. The gist was that Barr sent an unsolicited memo to Trump's White House staff arguing that Mueller has been abusing his authority in unconstitutional ways. Some have described Barr's public statements as a campaign for the post. Separately, some questioned Barr's statement to a New York Times reporter that prosecution of Hillary Clinton for a uranium deal approved by the Obama administration was more justified than the current inquiry over Mueller. Barr would supervise Mueller if confirmed as attorney general and could fire Mueller. So, the question remained at the end of the day: which, if either image, previews for the public how the real William Barr would act if confirmed? The Justice Integrity Project will explore the possibilities in depth during this confirmation process. We begin with excerpts below on selected news stories and commentaries early this week about the nominee's confirmation process. The section at top focuses on the Senate confirmation process. The section below cites recent news and opinion regarding revelations from probes of Trump, his campaign and administration by the special prosecutor and Democratic-controlled House of Representatives. Barr insisted that he would treat Mueller and the ongoing investigation fairly within the realm of law. Under pointed questioning, the nominee said that he would not fire Mueller without "good cause" and would not restrict the probe financially or in terms of limiting indictments unless there is s a compelling factual basis to do so. Barr also stated that he would deliver to Congress and the public Mueller's report about his investigation unless he, Barr, thought there was reason to change it or keep it confidential. Regarding another major issue for Democrats especially, Barr stated that he would consult career ethics experts at the Justice Department about whether he should recuse himself from any decisions regarding Mueller's probe. Yet Barr said that he would follow his own judgment on whether he would follow the opinion of the career ethics experts. Democratic senators Mazie Hirono of Hawaii (left) and Richard Blumenthal of Connecticut (below at right) delivered some of the most pointed questions to the nominee and most blunt remarks about how they found his answers evasive regarding their concerns. Their key focus was about whether he would perform in an independent manner or as the kind of politically motivated personal protector of Trump that the president has said he seeks. Some questions related to Justice Department work aside from Mueller's probe, such as private prisons, immigration, civil rights and drug enforcement. 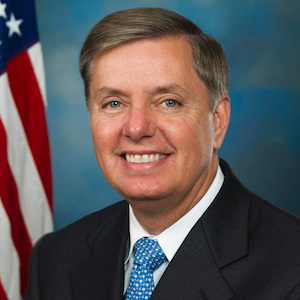 The committee chairman, Lindsey, began the hearing with courtesies associated with Graham's first hearing as chair. But he soon launched a highly partisan denunciation of what he called rogue officials at the Justice Department. Lindsey's attacks paralleled those by Trump against perceived unfairness by FBI and other federal law enforcement. "It sounded nice what he said," Senate Democratic minority leader Chuck Schumer of New York told MSNBC host Rachel Maddow afterward about Barr. "But there's a lot loopholes in what he said." "He shouldn't be attorney general," Schumer continued. "I'll vote against him." 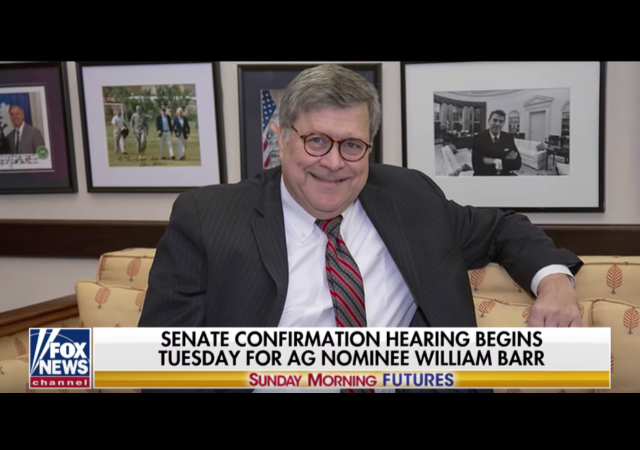 Barr is expected to win confirmation easily, however, because of the Republican 53-47 majority in the Senate. 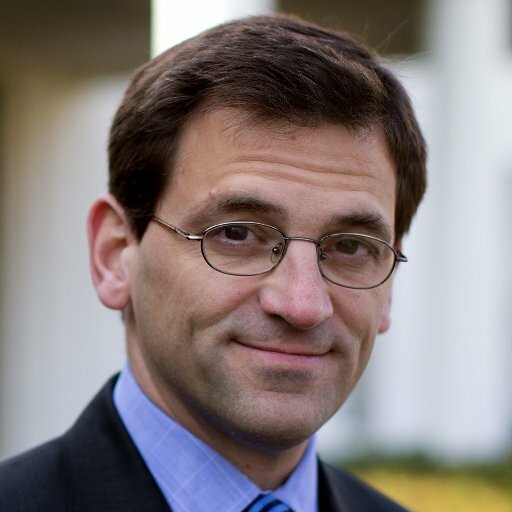 Alliance for Justice, Opinion on Justice in the Trump Era, H.R. 1 and Brett Kavanaugh, Bill Yeomans, Feb. 7, 2019. Democrats are kicking off the new Congress with hearings on H.R. 1, the For the People Act of 2019. The bill contains a blueprint for strengthening democracy through reforms in voting, campaign finance, and ethics in all three branches of government. It is massive, ambitious and long overdue. The bulk of the bill addresses access to the ballot and how to make those votes meaningful. Buried deep in the lengthy proposal, however, there appears a longstanding proposal, discussed in excellent testimony, to subject Supreme Court justices to a code of conduct for the first time. That provision provides the occasion for a crucial examination of the health of the Supreme Court, including the challenges raised by its newest member. H.R. 1 offers the opportunity to put that aftertaste to work. Kavanaugh serves as the poster child for reforms to the Court’s ethics. Kavanaugh’s confirmation cemented the image of the Court as a profoundly political institution. It continued the decades-long alliance between conservative politicians and the conservative legal movement to stock courts – and particularly the Supreme Court – with judges and justices who would apply conservative legal ideology to implement a conservative political agenda. Washington Post, William Barr, Trump’s attorney general nominee, likely to face tough questioning at confirmation hearing, Matt Zapotosky, Karoun Demirjian, Devlin Barrett and Seung Min Kim​, Jan. 15, 2019. 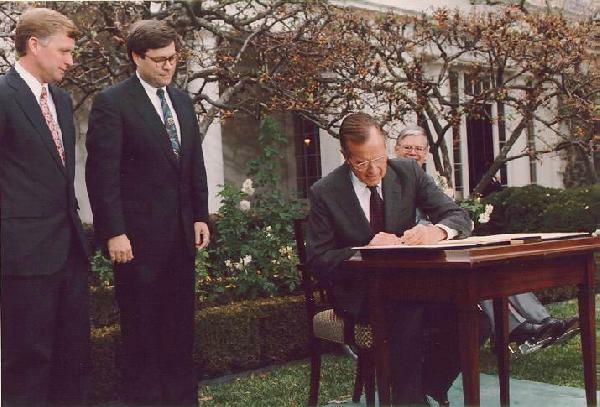 Barr (shown in a 1992 file photo) is expected to field questions from senators on how he would remain independent from a president who attacks the Justice Department constantly, and how he will treat special counsel Robert S. Mueller III’s investigation into Russian election interference. Although some members of the committee may press Barr to recuse himself from Robert S. Mueller III’s probe into possible collusion between the Trump campaign and the Russians during 2016, that is not a realistic possibility. Barr and the Republicans hold the cards. With a 53 to 47 Republican majority in the Senate, Barr’s confirmation seems assured unless the nominee comes unglued or makes a major gaffe. Neither seems likely; Barr is normally unflappable — he barely ever raises his voice — and too smart and well-prepared to step in it. So what can the Democrats hope to achieve with adroit questioning of the nominee? First, on the matter of recusal, they can try to exact a pledge that Barr will follow the guidance at every turn of career Justice Department ethics officials. Acting-Attorney General Matthew G. Whitaker promised to consult with those officials, but the promise turned out to be empty and fundamentally dishonest because Whitaker simply ignored their counsel to recuse. In his committee questionnaire, Barr similarly promised only to consult with department ethics officials. The committee can ask him to take the next step. Otherwise, Barr would begin his tenure with a slap in the face to the department he is leading if he followed Whitaker’s example. Harry Litman teaches constitutional law at the University of California at San Diego. 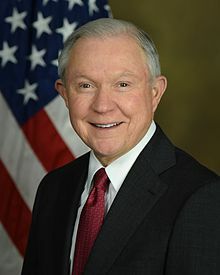 He was U.S. attorney for the Western District of Pennsylvania from 1998 to 2001 and deputy assistant attorney general from 1993 to 1998. 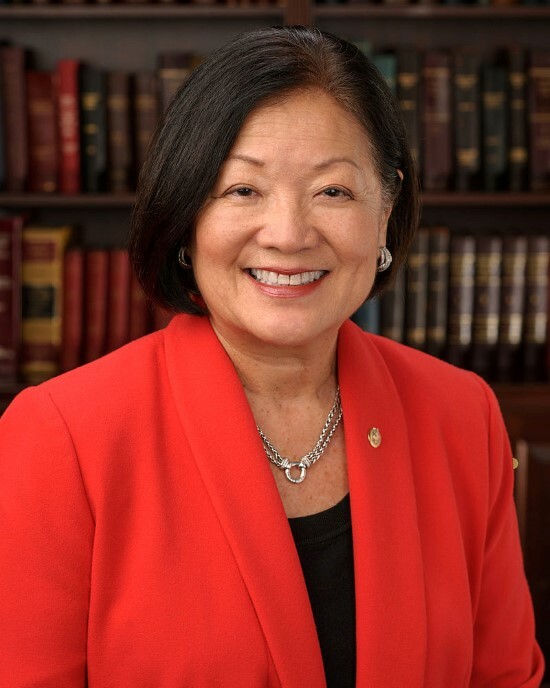 Wayne Madsen Report (WMR), Opinion: William Barr should have been disbarred long ago, Wayne Madsen, Jan. 15, 2019 (subscription required). 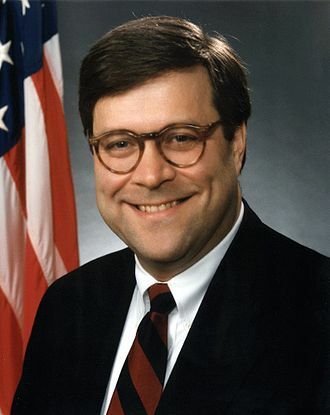 Donald Trump's nominee for Attorney General, William Barr, the former Attorney General under George H. W. Bush, has a sordid track record that would make him the envy of any criminal syndicate, including, obviously, the Trump administration. 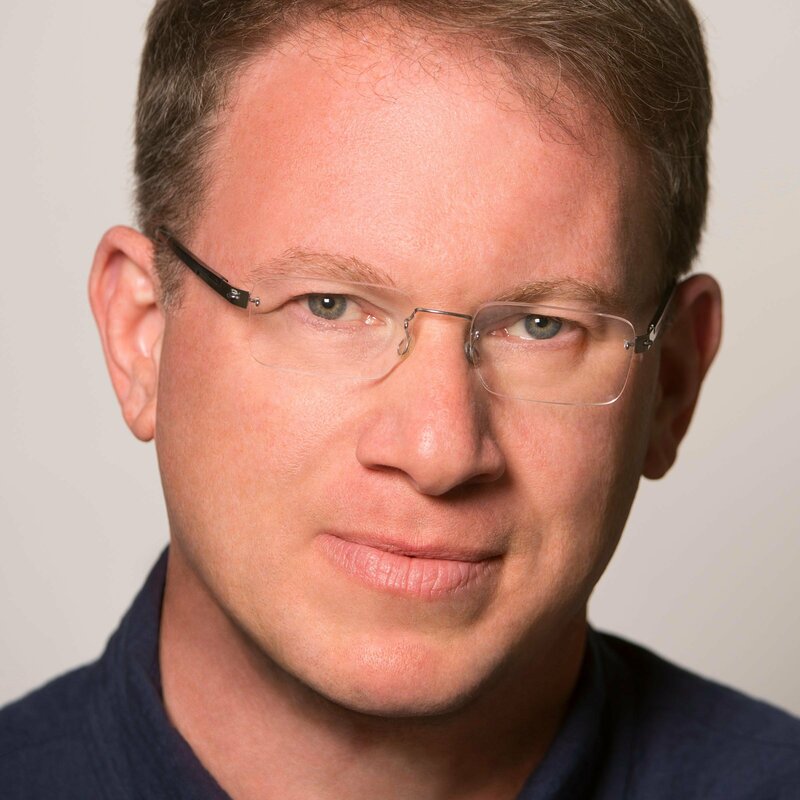 WMR Editor Wayne Madsen is a syndicated columnist, author of 16 books and a former Navy intelligence officer and NSA analyst. New York Times, Trump Says He Alone Can Do It. His Attorney General Nominee Usually Agrees, Charlie Savage, right, Jan. 15, 2019 (print edition). William P. Barr [with Senate confirmation hearing scheduled this week] has long espoused an unfettered vision of executive power. He may soon serve a president not known for self-restraint. The meeting of President George Bush’s cabinet on Jan. 8, 1991, was even more high-stakes than usual. Iraq had invaded Kuwait. Half a million American troops were deployed and ready to attack. But many lawmakers were demanding a vote before any war. Washington Post, Rudy Giuliani: ‘I never said there was no collusion’ between Trump campaign and Russia, Allyson Chiu, Jan. 17, 2019. "Rudy Giuliani out-Giulianied himself tonight," CNN host Don Lemon said. 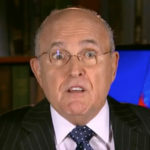 Rudolph W. Giuliani claimed Wednesday night that he “never said there was no collusion” between President Trump’s campaign and Russia leading up to the 2016 presidential election. In a remarkable, at times contentious, interview with CNN’s Chris Cuomo, the president’s lawyer (right) was accused of contradicting his own past statements about collusion as well as what Trump and his supporters have repeatedly asserted. On Twitter, Trump has used the phrase “no collusion” dozens of times, and a number of those instances were direct denials that his campaign was involved with the Russian government. 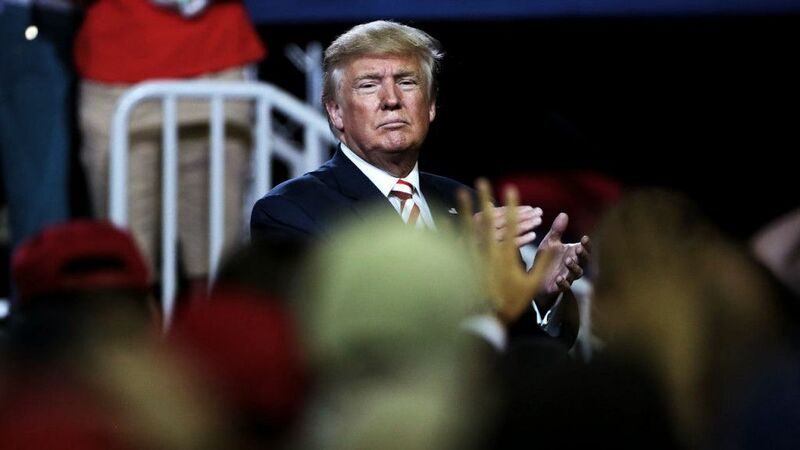 Washington Post, The quintessential Trump campaign story: A bag of cash, Michael Cohen and a rigged online poll, Philip Bump​, Jan. 17, 2019. Here's a story of another payment (apart from the one to Stormy Daniels) that might skirt campaign finance laws. Washington Post, Constitutional concerns over Trump’s D.C. hotel lease were ignored, watchdog says, Jonathan O’Connell and David A. Fahrenthold​​, Jan. 17, 2019 (print edition). The General Services Administration failed to determine whether the lease violates the Constitution’s emoluments clauses, which bar presidents from taking payments from foreign governments or individual U.S. states, the agency's inspector general said. Washington Post, Court filing suggests prosecutors know much more about Manafort’s actions, Spencer S. Hsu, Jan. 16, 2019 (print edition). In a heavily redacted filing, prosecutors indicated they have details not yet made public about the interactions of President Trump's former campaign chairman with a former Russian aide and others. 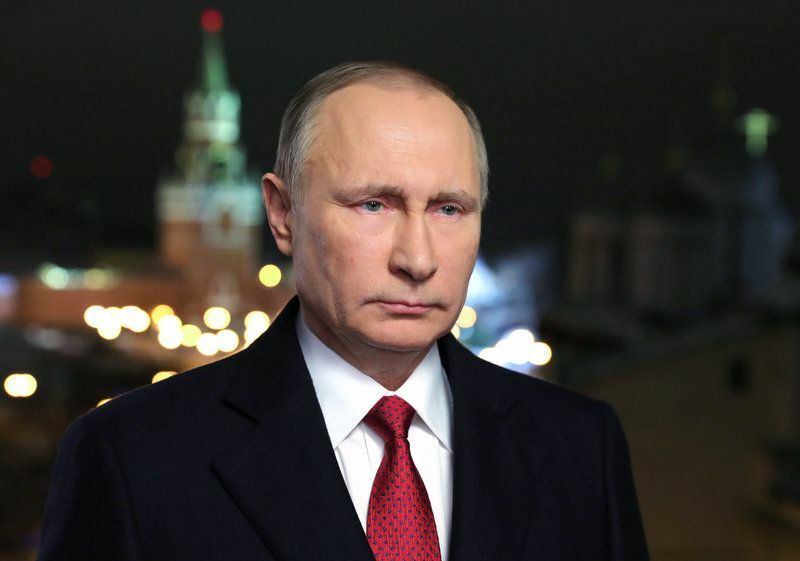 Washington Post, The Russians know exactly what Putin and Trump talked about, but we may not find out for decades, Anton Troianovski, Jan. 16, 2019. The interpreters working for Soviet leaders were trained to take nearly verbatim stenographic notes, often providing more details than official American notes on the same conversations. Washington Post, T-Mobile announced a merger needing government approval. The next day, 9 executives had reservations at Trump’s hotel, Jonathan O'Connell and David A. Fahrenthold, Jan. 16, 2019. The visits highlight how countries, interest groups and companies with interests before the Trump administration have patronized the president's private businesses. New York Times, Opinion, Donald Trump: The Russia File, Editorial board, Jan. 15, 2019 (print edition). Americans deserve to know what the president and Vladimir Putin are talking about. If, beleaguered or bemused by the onrush of scandal and political antics, you’re searching for some index of just how truly not-normal American governance has become, you might consider this: Standing on the White House lawn on Monday morning, his own government shut down around him, the president of the United States was asked by reporters if he was working for Russia. He said that he was not. “Not only did I never work for Russia, I think it's a disgrace that you even asked that question, because it's a whole big fat hoax,” President Trump said. Yet the reporters were right to ask, given Mr. Trump’s bizarre pattern of behavior toward a Russian regime that the Republican Party quite recently regarded as America’s chief rival. Indeed, it’s unnerving that more people — particularly in the leadership of the Republican Party — aren’t alarmed by Mr. Trump’s secretive communications with the Russian president, Vladimir Putin, and reliance on his word over the conclusions of American intelligence agencies. Washington Post, Manafort case shows special counsel’s intense focus on Russia contacts, Rosalind S. Helderman and Tom Hamburger, Jan. 14, 2019 (print edition). The court documents serve as a reminder that President Trump’s White House bid was led for a time by a man with long-standing ties to powerful Russian figures. Washington Post, Trump denies working for Russia, calls past FBI leaders ‘known scoundrels,’ John Wagner, Jan. 14, 2019. ​The president's comments came in response to reports that he was the subject of an FBI investigation after he fired then-Director James B. Comey. New York Times, Analysis: Trump Confronts the Prospect of a ‘Nonstop Political War’ for Survival, Peter Baker, right, Jan. 14, 2019 (print edition). So it has come to this: The president of the United States was asked over the weekend whether he is a Russian agent. And he refused to directly answer. If the now 23-day government shutdown standoff between Mr. Trump and Congress has seemed ugly, it may eventually seem tame by comparison with what is to come. The border wall fight is just the preliminary skirmish in this new era of divided government. The real battle has yet to begin. 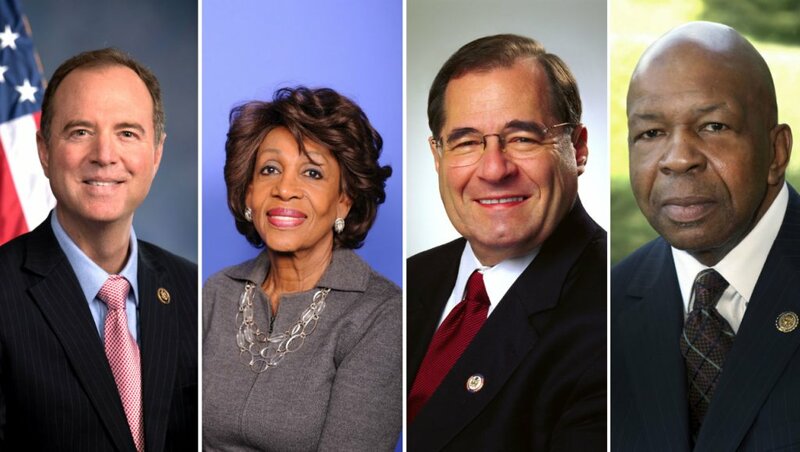 New House Democratic committee chairs include, from left, Adam Schiff and Maxine Waters (both from California), Jerrold Nadler (NY) and Elijah Cummings (MD). New York Times, Top Democrats Warn Trump Over Comments on Michael Cohen, Nicholas Fandos and Maggie Haberman, Jan. 14, 2019 (print edition). Three newly empowered Democratic House committee chairmen, alarmed by statements over the weekend by President Trump about his former lawyer’s planned testimony before Congress, cautioned on Sunday that any effort to discourage or influence a witness’s testimony could be construed as a crime. The warning, a stark and unusual message from some of Congress’s most influential Democrats, underscores the increasing legal and political peril facing Mr. Trump. Democrats are beginning their own investigations of him as the special counsel, Robert S. Mueller III, appears to move toward a conclusion in his investigation into the Trump campaign’s ties to Russia and potential obstruction of justice by Mr. Trump. In a Fox News interview on Saturday night, Mr. Trump accused the former lawyer, Michael D. Cohen [right], of lying about him to win leniency from federal prosecutors and spoke cryptically of the existence of damaging information against Mr. Cohen’s father-in-law. Mr. Cohen, who has been sentenced to three years in prison, has accused Mr. Trump of directing him to make illegal hush payments during the campaign. 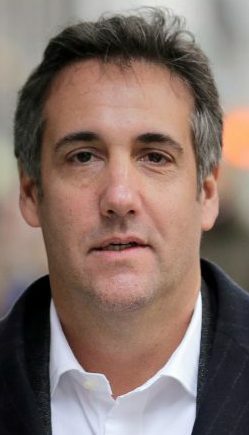 Wayne Madsen Report (WMR), Investigative commentary: Why is Trump so afraid of Cohen's testimony? Wayne Madsen, Jan. 14, 2019 (Subscription required). Donald Trump continues to lash out at his former lawyer and "fixer," Michael Cohen, as the February 7 public testimony by Cohen before the House Oversight and Government Reform Committee, chaired by Representative Elijah Cummings (D-MD), draws nearer. Cohen said he wants to "give a full and credible account of the events that have transpired." Palmer Report, Commentary: Maxine Waters slam dunks Donald Trump, Bill Palmer, Jan. 14, 2019. 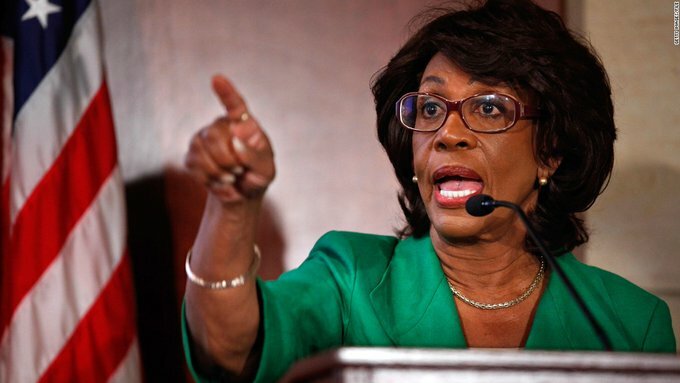 Donald Trump’s string of racist attacks against Congresswoman Maxine Waters over the past two years ended up backfiring when the Democrats won the House majority, and Waters was elevated to the Chair position of the powerful House Financial Services Committee. This means she has subpoena power over his financial scandals, and she’ll no doubt use it very soon. For now, Waters (shown in a file photo0 is lighting up Trump over his more immediate scandals. 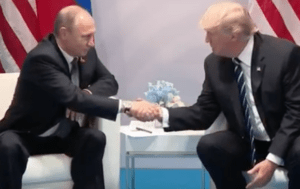 Washington Post, Trump kept details of meetings with Putin from senior officials in administration, Greg Miller, Jan. 13, 2019. On at least one occasion, President Trump took possession of his interpreter’s notes after meeting with Russian President Vladimir Putin, U.S. officials said. There is no detailed record, even in classified files, of Trump’s face-to-face interactions with Putin over the past two years, the officials said. Palmer Report, Opinion: Exposed: Donald Trump’s treason is so severe, he’s been hiding the worst of it from his own people, Bill Palmer, Jan. 13, 2019. From the start, Donald Trump has been rather open and casual about his treasonous relationship with Russia. During the election, he publicly asked Russia to hack Hillary Clinton’s emails, a cyber war crime. Since illegitimately taking office, he’s stood next to Putin while attacking the United States. This comes just one day after the New York Times bombshell about the FBI having opened a counterintelligence investigation into Donald Trump in mid 2017. We don’t think this is a coincidence. Washington Post, Trump’s wall battle could soon give way to bigger fights over Russia, impeachment, Greg Jaffe, Jan. 13, 2019. President Trump and his allies on Sunday derided recent reports that raised new questions about Trump’s interactions with Russians and their leader, Vladimir Putin.